QNB Group, held its annual Strategy Conference this year under the theme ‘Shaping an Icon’, in Sharq Village and Spa hotel, Doha. 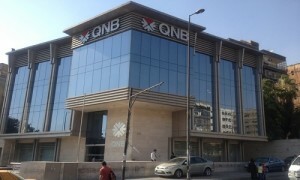 The two-day Conference was hosted by the Group Chief Executive Officer Ali Ahmed Al Kuwari, and topics of the meeting were constructed around QNB Group’s vision of being a “MEA Icon” by 2017, and focused on highlighting best practices to develop the Group’s strategy both domestically and internationally. The conference was attended by members representing the Group’s Executive Management team, General Managers, and Executive Management representatives from the QNB International network. Topics of discussion included asset and wealth management and international expansion. The annual strategy conference presents the perfect setting to discuss, share and reflect upon progress and business plans but importantly it also provides the ideal forum to project the Group’s aspirations. QNB Group’s presence through its subsidiaries and associate companies extends to more than 27 countries across three continents providing a comprehensive range of advanced products and services. The total number of employees is more than 15,000 operating through more than 635 locations, with an ATM network of more than 1,350 machines.